Up-to-date protection against thousands of computer viruses, and numerous types of malware. With Comodo Internet Security protect your PC with state-of-the-art cyber security technology for free. What brings the real need of Internet Security Suite for PC Protection? Internet Security Suite is a multi layered protective mechanism that refrains hackers from creeping into any of the user's personal or business related data. Comodo stands promising with its Internet Security suite probing a 360 level of protection with a sturdy antivirus, and an enterprise class packet filtering firewall amongst its contemporaries assimilating unique and cutting edge techniques like sandboxing of unknown files or zero day threats, advanced host intrusion prevention. Conventional PC protection software has reduced to essentials and is now been outsmarted by the next generation Internet Security Software from Comodo, which can be downloaded for free and the users can access the benefits with the complete version of the products and helps the users to stay away from audacious hackers. Users can upgrade to Comodo Internet Security Pro for just $39.99 per year and receive unlimited live expert virus removal services and our exclusive Virus Free Guarantee. Comodo Internet Security offers complete protection from viruses, Trojans, worms, buffer overflows, zero-day attacks, spyware and hackers. Comodo Internet Security alerts you whenever potential malware attempts to attack or gain access to your system. Comodo Internet Security program combines powerful antivirus protection, an enterprise class packet filtering firewall, advanced host intrusion prevention, application control and anti-spyware in one supremely powerful application. Built from the ground upwards with your security in mind, Free Internet Security offers 360 protection by combining powerful Antivirus protection, an enterprise class packet filtering firewall, advanced host intrusion prevention and automatic sandboxing of unknown files. Comodo's Internet Security suite differs from traditional Antivirus software in that it also includes other layers of protection, including anti-spyware, parental controls, privacy protection and much more. This Free Internet Security suite is a complete package that you can download and install for peace of mind. 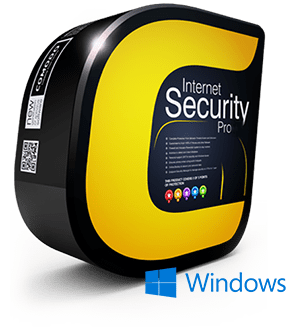 Using this free internet security software, you defend your PC from malicious software such as viruses, you prevent your personal information from being stolen and you protect your children from Internet dangers. Verifies with the whitelist if the files and applications are PC safe to access the PC. A conglomerate of Firewall and Antivirus are used to prevent harmful files from entering the system at the initial stage. Thus denying malware attacks by default. The technique involves separation of suspicious files in a virtual environment prohibiting its interference from the rest of the user's PC. The user can tailor the rules to download a software as per the requirements which is instantly adapted by the Firewall to adjusts its alerts accordingly to fit the fill of the user's needs. 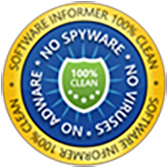 This identifies malware threats and cleans them off the PC disks and registry. Even when the user has not updated the virus definitions, the cloud based antivirus detection malicious interference. SecureDNS helps to filter malicious website off the track by verifying it with a blacklist of malicious websites and prompts the user while trying to get connected to such suspicious sites. The interface is much cogent that the user can navigate easily from one feature to the other, defying chaos. Preset security settings for single click setup. 1. What makes Internet Security better than my current Antivirus and Firewall combo? Internet Security is a security suite plus. More than just an antivirus program, it also includes an award-winning firewall, host intrusion prevention, a sandbox for untrusted software, anti-malware and buffer overflow protection to deliver comprehensive protection against today's diverse range of threats. 2. 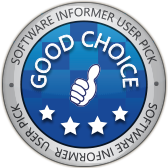 What makes Comodo's Internet Security product different from the others? 3. What is the sandbox and how does it protect me? The sandbox is a virtual operating environment created within your computer for unknown and untrusted programs. Internet Security automatically runs untrusted programs in the sandbox where they cannot make changes to processes, programs or data on your 'real' system. 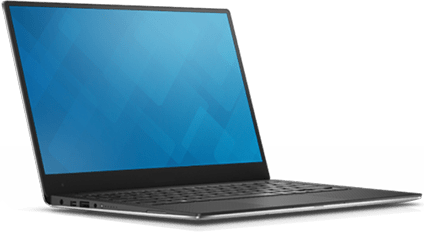 This protection goes well beyond traditional Antivirus software by ensuring any brand new viruses are completely isolated and cannot cause damage. 4. Will programs run OK in the Sandbox? Yes. Applications in the sandbox are run under a carefully selected set of privileges and will write to a virtual file system and registry instead of the real system. This means untrusted (but harmless) applications have the freedom to operate as usual while malicious programs are prevented from accessing or infecting your computer. This provides smoothest and most secure user experience possible. 5. Do programs stay in the Sandbox forever? No the sandbox is the first part of a trust decision engine. After an unknown application has been placed in the sandbox, Internet Security will also automatically queue it for submission to Comodo labs where it will be analyzed by our technicians. If it is found to be harmless then it will be added to the global safe list that will be downloaded by all Internet Security users in the next round of updates. Once it is added to the safe list, the application will no longer be run in the sandbox by Internet Security. If it is found to be malicious then it will be added to Comodo's list of malware signatures and will be deleted after the next round of updates. 6. Is it free for business users too? Yes. However, enterprises looking to implement Internet Security on large networks of workstations would benefit from the centralized management capabilities of Comodo Endpoint Security Manager (CESM). 7. Can I install only the Firewall or only the Antivirus? Yes you are given the option to install exactly the components you want during setup. As you download the software you will be eligible to get in touch with the GeekBuddy expert 24/7 and a chat option will be made available for an instant reach. If you have any technical queries on the products, you can right away visit our Support Home Page, where you can choose to click "Submit a Ticket" and select "Internet Security Support" from the menu option and submit. To know about our products or if you wish to speak to one of our sales representatives, you can reach us at 888-351-8212. In any case of technical support questions, you can call as at 1-877-712-1309. It is very important to have your order number or subscription information available. You can submit files that you suspect it as a malware. This helps us to maintain the most accurate and up to date database of viruses and malware. This is a self contained system that helps to alert the user if there is any suspicious activity that is going to intrude the normal computer operations. It has the ability to reverse any possible nefarious actions of software without blocking the software completely. It is more of a specific control that helps the legitimate software to function correctly.Viruscope allows the software to detect, block and undo many potentially unwanted actions. This is a provision that makes users more convenient to allow or obstruct access to certain websites. Each user can tailor the website access rules as per their requirements. This feature is best suitable for both home and work environments. For instance, at home, parents can block certain websites that are inappropriate for their kids and at work, the organization can restrict the employees from visiting social media websites during working hours. Comodo Internet Security incorporates several preset lists of URLs which can add to the rules created. Added 'Please call a live expert' balloon message in main GUI when running into 'At Risk' status. This new add on helps to secure sensitive files by making them completely invisible to files that run in the virtual sandbox. Files and programs that are placed in the Protected Data Folder cannot be accessed or modified by any sandboxed application. All Comodo Internet Security (CIS Version 8) Advanced Settings components are now accessible via Comodo Internet Security (CIS Version 8) Tray menu. Windows in 'grid view': Improved file search operation and added 'search completed' notification; added 'Jump to Folder' option; columns now retain their widths as last changed by the user. AV Scan results and Rating scan results windows can be viewed in full screen mode. 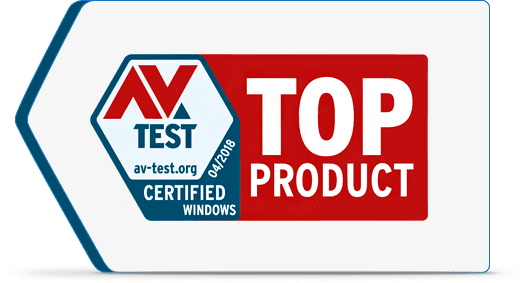 Comodo Internet Security Premium is now the "Top Product" providing the best antivirus software for Windows. 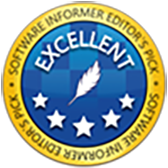 Our product has now been acknowledged for its true security solutions, Wedfiltering feature, auto containment technology, real-time scan, sandbox operating environment, and award-winning firewall. Defense+ Technology Assures a default deny protection, securing critical system files and blocks malware even before it get installs. Anti-Spyware Identifies any existing spyware threats that are attacking the PC and removes the infection completely. Auto Sandbox Technology Executes any suspicious files in a separate virtual environment defying the system from malware attacks. Anti-Rootkit Scans for any rootkits, once identified it confiscates the infection from your computer. Memory Firewall Defends sophisticated buffer overflow attacks. Bot Protection Obstructs malware infected software from exploiting your PC from unwanted interruptions. Anti-Malware Kills malicious threats even before an impact of infection is identified on the PC. Good results in independent lab tests. Good score in hands-on malware blocking test. Includes hardened browser, virtual desktop, sandboxing.